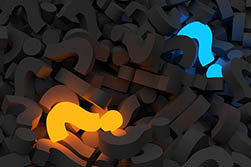 Starting a business can be quite a daunting prospect to many people when a good idea needs to grow into a viable business, it is easy to be overwhelmed by the statutory paperwork and decisions which need to be made. 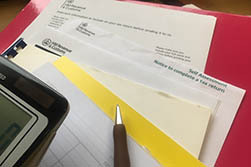 We can give you confidential advice and assistance at every stage – from preparing business plans, registering your self-employment or forming a limited company and filing all the relevant paperwork on your behalf, to ensure that you comply with current regulations from HMRC (and Companies House if required). Contact us for an initial meeting to discuss our services without cost or obligation. We tailor our service according to each client’s needs at affordable prices, and whenever we can we try to offer fixed fee packages for all types of business or organisation. 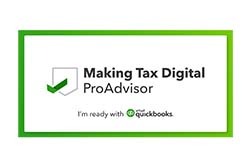 Check out our Resources page where you will find useful factsheets, calculation tools and the latest business, accounting and tax news. We prepare accounts for Sole Traders, Partnerships, Limited Companies, Limited Liability Partnerships, Trusts, Registered Charities and Clubs. 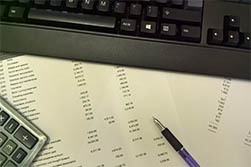 Every business is unique so we provide a tailored service for all of our clients depending on their size and needs, whether it be a simple Income and Expenditure account or a more complex set of statutory accounts. We can provide management accounts and reports for specific time periods other than at year-end to provide you with real-time information to assist you in your business decision making. Our experienced staff have training in various accounting software packages and can advise and assist you with your bookkeeping.We can also undertake a review of your current systems and offer best practice advice. Our experienced team can audit your company’s accounts and assist with the filing requirements from Companies House. We also undertake internal and external quality reviews to ensure this work is carried out effectively. 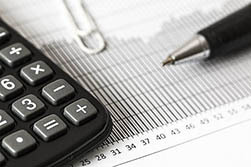 We understand that everyone has a unique set of requirements and our confidential tax planning service is tailor-made to suit your requirements. We offer a comprehensive range of taxation services. We will help you meet your tax obligations and comply with the ever-changing regulatory burden. We tailor our service to suit your needs. We are able to provide as much or as little support as you require. 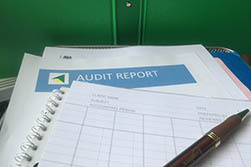 Many clients rely on us for all their compliance requirements, while some prefer us to work with their in-house teams. Our VAT department can advise and assist with any particular VAT query you may have and also prepare your VAT returns whether monthly, quarterly or annually. 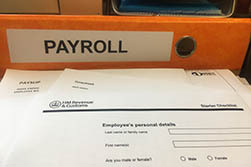 Our Payroll department can manage all your payroll needs to comply with HMRC requirements. If you require further information or would like to discuss your requirements contact us. Presently, there is no set way of keeping your records, but certain things must be recorded, such as all business income and expenditure. We provide tailored advice to get you set up properly, depending on your needs and your preferred way of keeping your records. Our staff have experience of a wide variety of accounting programs, including the industry leading cloud-based accounting packages. Online accounting means you can stay connected to your data and your accountant. 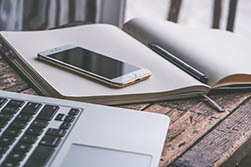 It can be operated from any device with an internet connection meaning you can even do your record keeping on your Smartphone or Tablet. Cloud-based accounting software can integrate with a whole range of add-on applications, which allows it to be tailored to your specific needs and grow with your business. Paid for by monthly subscription, we are able to offer packages with some of the leading cloud accounting brands at preferential rates for our clients. To find out more contact us. "As the owner of a small business, I have had 13 years of excellent service from Dorrell Oliver. Very professional but also friendly & approachable. My emails & phone calls are always responded to quickly & the Payroll Dept is very efficient. Highly Recommend..